Visitation will be held from 2-4 & 6-8 PM Thursday at Ferguson Funeral Home, 202 E. Main St. (St. Rt. 161 W) Plain City, where funeral services will be held 11 AM Friday, February 1, 2019 with Rev. Bill Webb and Pastor Mark Barth officiating. Burial immediately following. 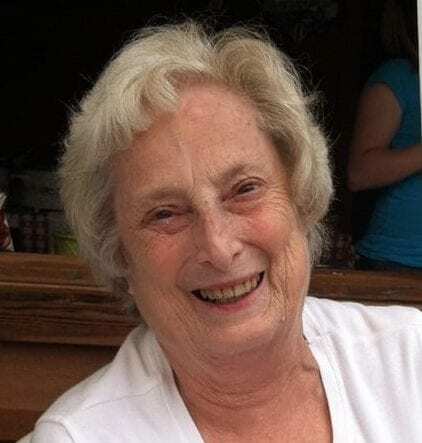 Shirley Ann Eyre, 80, of Plain City, entered into the arms of Jesus on Sunday, January 27, 2019. Born February 15, 1938 in Powhatan Point, Ohio. Attended Hayden Run Baptist Church. She enjoyed flower gardening, playing Bunco and watching The Ohio State Buckeyes. What Shirley loved the most was her family, and spending time with her grandchildren and great grandchildren. She was preceded in death by her parents, Nick and Eleanor (Sech) Blazy; sister, Eleanor Baker. Shirley is survived by her husband of 61 years, Les, whom she married on January 25, 1958; children, Kevin (Pam) Darin, Leslie (Rodger) Rausch, Karla Shampine; grandchildren, Mike (Brittany), Todd (Amanda), Kellie (Jake), Stephen, Jake, Adrienne, Emily; great grandchildren, Korben, Cameron, William; sister, Marie Serafinas; brother, Nick (Brenda) Blazy. Visitation will be held from 2-4 & 6-8 PM Thursday at Ferguson Funeral Home, 202 E. Main St. (St. Rt. 161 W) Plain City, where funeral services will be held 11 AM Friday, February 1, 2019 with Rev. Bill Webb and Pastor Mark Barth officiating. Burial immediately following. Karla, love and prayers to you, your girls and family in the loss of your beautiful mother. May God be your source of comfort and strength during this difficult time 🙏❤️Love you friend. Prayers and Love go out to you and your family Leslie.